A controversial novel about the Prophet Muhammad and his child bride, scrapped in the US, will be released in the UK. 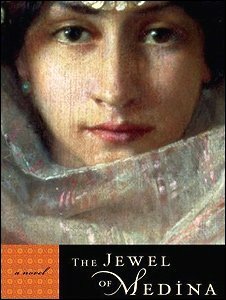 Last month, publisher Random House cancelled the US publication of The Jewel of Medina, by Sherry Jones, fearing it could offend Muslims. Random House said it had been advised the book "could incite acts of violence by a small, radical segment". But independent UK firm Gibson Square will publish the book next month saying its release is "imperative". The novel follows the life of A'isha, often referred to as Muhammad's favourite wife, from her engagement at the age of six until the prophet's death. Martin Rynja, of Gibson Square, said there must be "open access to literary works, regardless of fear". He added: "If a novel of quality and skill that casts light on a beautiful subject we know too little of in the West, but have a genuine interest in, cannot be published here, it would truly mean that the clock has been turned back to the dark ages." 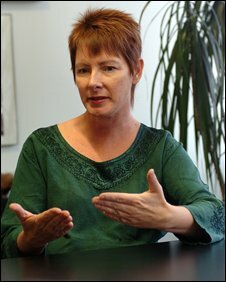 Jones, a US journalist, has defended the book to German newspaper Leipziger Volkszeitung. "To claim that Muslims will answer my book with violence is pure nonsense," she said. "Anyone who reads the book will see that it honours the prophet and his favourite wife." Her agent, Natasha Kern, said the book was "a wonderful and inspiring love story". She added that there were also plans for the book to be released by other publishers in other parts of western Europe, as well as in North America. The Jewel of Medina, Ms Jones's debut novel, was due to be released in the US on 12 August. However, a few days beforehand, Random House confirmed that the publication was to be postponed indefinitely "for the safety of the author, employees of Random House, booksellers and anyone else who would be involved in distribution and sale of the novel". At the time, Random House said Jones was free to sell her book to other publishers. Sir Salman Rushdie - whose 1988 book Satanic Verses prompted Iran's then-spiritual leader Ayatollah Khomeini to issue a fatwa ordering his execution - said the book should not have been shelved in the US. "This is censorship by fear and it sets a very bad precedent," he said.